Does a vacation to the faraway tropical island of Mauritius sounds expensive and out of reach? This should not be the case, having a wide selection of hotels offering affordable accommodation packages in Mauritius while catering for travellers on the budget. Mauritius is an ideal place to enjoy a relaxing holiday even if you have to tighten the purse strings. The tropical island is famous for its unique sun, sand, sea and - without forgetting - the heart-touching Mauritian hospitality. Reflecting the new spirit by which people live today and aiming at diversifying target clients, a wide range of hotels in Mauritius offer affordable yet valued experiences in an efficient and relaxed atmosphere typical from this country. Holiday makers can enjoy an amazing stay in low rates hotels which are real value for money, offering all the facilities and services required. Conscious that clients are very cautious when looking for cheap hotel rooms, these Budget hotels in Mauritius ensure that guests don’t pay more than they should while guaranteeing that the rooms are comfortable, clean and have all the facilities which required to offer true exotic and stress-free vacations. For your convenience, the list below compiled an explicit list of the hotels offering low rates across the country without any compromise on service quality. For thirty years people have been enjoying Veranda Grand Baie Hotel and Spa, transported into the quiet serenity of the Mauritian lifestyle. Being a 3-star-plus hotel nestles in a beautiful bay at the heart of the lively village of Grand Baie, enjoy its famous restaurants, bars, discotheques and shops. Upon arrival, you will be welcomed to the beat of a traditional drum, the maravane, by a local musician in national dress. With a wave of his straw hat he will invite you into Veranda Grand Baie Hotel and Spa. This marks the beginning of a holiday full of fun activities from sightseeing to shopping. Limpid blue waters, white sandy beaches, shady filao trees… what more could you want? 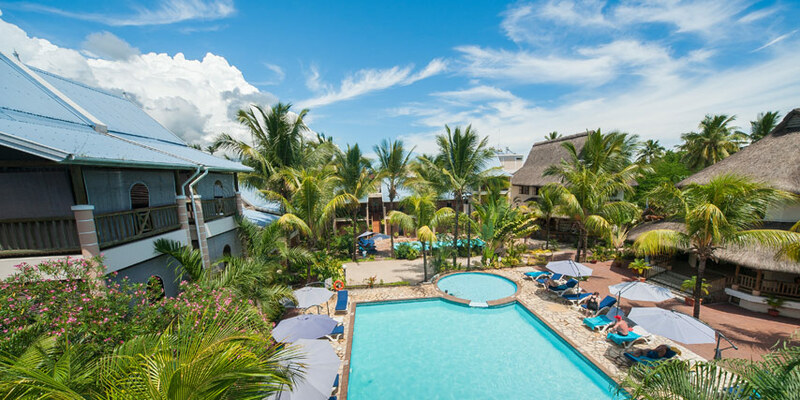 Veranda Palmar Beach Hotel, on the superb east coast of Mauritius, is a seaside hotel offering the whole gamut of delights that the ocean and the beach guarantee. With its thatched roofs, its whitewashed walls and huge bougainvillea, Veranda Palmar Beach Hotel, is bursting with seaside charm. Take the most of the lush tropical garden planted with coconut palms and royal palms rustled by the cool sea breezes. Steeped in time-honoured traditions, lifestyle here is infused with tasteful elegance whilst ensuring ultimate current-day comforts and conveniences. Veranda Palmar Beach gets recognized at the Traveller’s Choice Awards TripAdvisor 2016 and was ranked second in “Top 10 Best bargain - Mauritius” category. So choose the Veranda Palmar Beach Hotel, a hotel that offers new standards in style, a place of calm and beauty that will soothe your senses at a very affordable price. Le Palmiste Resort & Spa is a homely 3-star hotel situated in the quaint, sun-drenched seaside village of Trou aux Biches, in the north-west of Mauritius. Come for pleasure, romance and relaxation, for spectacular cocktails and excellent cuisine blending Mauritian and International flavors. Le Cateau Vert combine the charm of wood, stone and warm colours for it restaurant and it has a lively covered seating area overlooking a central courtyard pool. The restaurant can accommodate up to 220 guests and provides a relaxed setting to enjoy a delectable meal and impeccable service. Le Palmiste Resort & Spa being a resort which have been recommended on Tripadvisor and HolidayCheck. It is a great place for individual travelers, couples and families alike, it offers a delightful mix of relaxed atmosphere amidst a beautiful exotic garden, modern comfort and most of all an excellent value for money. Calodyne sur Mer is nested in the North East of the paradise island of Mauritius. This sanctuary on earth looks out on the turquoise lagoon of Calodyne offering an original view of surrounding islets and the Coin de Mire isle. Here, we invite you casually stroll the cool tropical gardens and enjoy the view of the magnificient lagoon of Calodyne. Whether you’re travelling alone, with your partner or with friends and family, our rooms have a spacious layout and give a cozy space for you to rest with great interior decorations. Calodyne is a resort that invites you to sip on the tranquility of our exceptional place. It provides a cuisine that is blended, joining the finesse of the West as well as the spices of Asia. Wave air pub remains open to mid night: It is the perfect place to enjoy cocktails, sip a tropical drink and enjoy some light snacks poolside! Our entertainment team excite and entertain guests every evening using an excellent number of local and international favorites. For dreaming beneath the tropical night sky, or dancing to or for just basic listening, traditional island dance and music is a great experience to soak up. 82 elegant rooms which have been recently decorated for the relaxation of every member of a family. Fifty rooms of all styles in a two-wing complex ideally located in the heart of the village of Flic en Flac on the West coast of Mauritius. Right across one of the best beaches of the island with center stage to the stunning Mauritian sunset. Surrender your senses to the beauty of Flic en Flac at Aanari Hotel & Spa; brilliant blue sky, sparkling turquoise sea and gentle ocean breezes. The Hotel unfurls along an exceptional stretch of beach and lagoon on the sun-drenched west coast. Steeped in time-honoured traditions, lifestyle here is infused with tasteful charm whilst ensuring ultimate current-day comforts and conveniences. The Mei Yan Restaurant, with Chinese master chefs from Mainland China, is renowned for Peking Duck and seafood specialities and The Colonial Garden also offers an international a la carte menu. Guests may have their meals inside the restaurant or in the garden with a prominent view on the ocean. After an exquisite lunch, let yourself be pampered by the expert hands of the therapist at Amrita Spa, the ideal place to relax and enjoy pure relaxation. 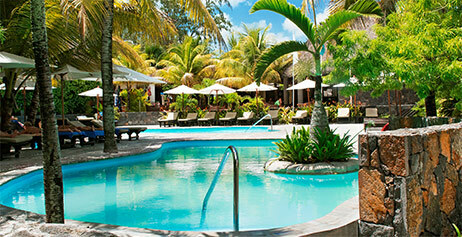 Coin de Mire Attitude is a beautiful 3 star hotel nestled at Cap Malheureux in one of the most beautiful spots of our island, having a remarkable view the majestic Coin de Mire and of all the northern islets. The hotel is built in a contemporary style with the concept of tropical beauty in mind and is ideal for those searching for an intimate, and affordable retreat with facilities including two swimming pools, a poolside bar and kids’ club. 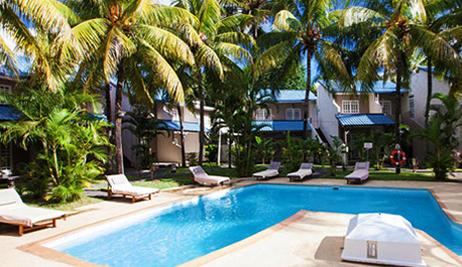 The Coin de Mire Attitude offers excellent accommodation surrounded by the tropical garden. There are 102 spacious rooms arranged in different categories including, superior room, deluxe room, and deluxe family room. All come with room facilities such as: telephone access, television, bathroom with shower, electronic safe, air-condition, and the list goes on. Get the finest dishes with the hotels’ restaurants including, La Paillote Restaurant which specialises in seafood and especially in its lobster menu (on request and with supplement). You can also enjoy a relaxing spa treatment at the Spa Attitude, providing you with a list of four signature treatments: Earth Attitude, Sea Attitude, Sun Attitude and Flora Attitude. 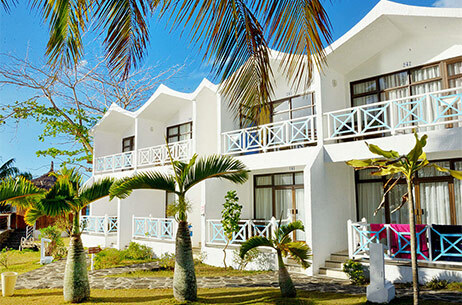 Nestled in the midst of a beautiful garden, and facing the gorgeous Belle Mare beach, the 3-Star Emeraude Beach Attitude is ideal for family, friends and couples for a fun and relaxing breakaway at low rates. The hotel featured a rustique decoration and architecture with wood, stone and thatch which are widely used. Emeraude Beach Attitude is ideally situated on the east coast facing one of the island’s most beautiful beaches, Belle Mare beach with its kilometres of white sand, turquoise and emerald lagoon. Spend a genuine Mauritian seaside holiday with the two bonuses offered are the beach attendance with Coco and his typically Mauritian beach cart. Indulge yourself with a true serenity feeling at the Spa Attitude. Relax and enjoy a rejuvenating massage based on natural elements from plants and sea. Along one of the most beautiful beaches of the island, the Gold Beach Resort and spa is the ideal place to spend your holidays. The hotel offers 31 standard rooms, some overlooking the beautiful beach of the west coast while others give in a flourishing garden. The mission and vision of the hotel is to offer its customers the best holidays in a relaxing and comfortable environment with a selection of water sports activities (some are payable and on demand). It also has a fitness center and spa for the well-being of clients. Entertainment such as Sega shows and live performance are also available during the weekend. The Gold Beach Resort Restaurant concepts focus upon the preparation and services of fresh seafood. 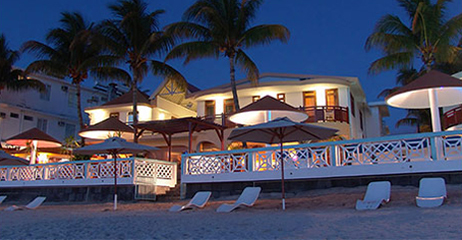 Being right next the beach the location is ideal for romantic dinners and private theme parties. With the chef finished touches, nothing can tingle your palette more than the Restaurant Seafood Dishes, Appetizers and Desserts. To finish off with an extensive range of delicacies, Gold Beach Resort Restaurant also use a flavorings and seasoning signatory of Mauritian Culinary, which seeks to bring out the natural essence of the ingredients used. 31 standard rooms, some overlooking the beautiful beach of the west coast while others give in a flourishing garden. Feeling like you need a break from everyday life? Maybe a romantic night with your loved one or possibly a family get-away with the kids. Silver Beach Hotel is the right place for you! 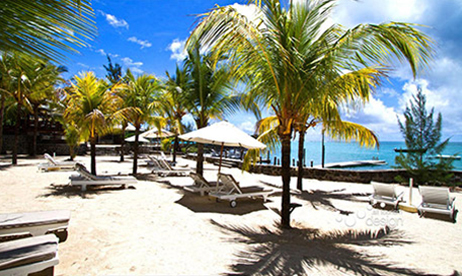 The Silver Beach Hotel is located on the eastern coast of Mauritius near Trou D’eau Douce, fronting a wonderful white sandy beach. A small hotel in a secluded position; it will be your ideal escape for a quiet, relaxing and simple holiday offering an all-inclusive package which represents excellent value. The Silver Beach is also where you can appreciate good dining experience as part of your all-inclusive package starting from an excellent breakfast to an amazing dinner. The restaurant has an attached bar where you can sip on a variety of drinks and cocktails. Daytime is for you to make the most of the complimentary activities offered at Silver Beach Hotel such as kayak, pedalos boats, snorkeling, pool table and the social games or you can just relax by the pool having a refreshing cocktail. Guests can enjoy evening entertainment during their stay with the live musical entertainment or the Sega show once a week. Le Grand Bleu hotel features 3 categories of accommodation: Standard rooms with Sea view, Junior Suite and Family apartment. Each room has been carefully designed to the highest degree of comfort and convenience offering air conditioning, heating, telephone and TV, mini-bar, shower, terrace or balcony, and safe deposit box. Welcome in the north of Mauritius, cosily nestled in the small village of Pereybere and in the heart of the choicest regions of the island, Hibicus Beach Resort, Spa and Dive Club offers to our clients a haven of tranquility and serenity in an ambiance of warmth and intimacy. While stepping the entrance door, discover a surprising site of natural splendour: a magnificent tropical garden run across by a charming stone footpath which leads to a spectacular view of the lagoon and the Indian Ocean. The spacious and attractively decorated rooms of Hibiscus Beach Resort, Spa and Dive club, offer you an ambiance of wellbeing and comfort that will accompany you throughout your stay at the hotel. All the rooms, without exception, allow you access to an outdoor terrace or balcony, a view of the sea or of the garden. Casa Florida Hotel and Spa is conveniently located at a brief 5-minute walk from the beautiful sandy white beaches of Pereybere. It is a privately owned, charming and personal hotel renowned for its warmth and heartfelt hospitality, with 74 rooms, spread over 20,000 square metres of lush tropical garden. Being rated by several travellers as “excellent” on Tripadvisor, you are sure to spend an exclusive stay in a welcoming Hotel. Casa Florida Hotel and Spa featured a wide variety of rooms and the hotel caters easily to your individual needs with twin, double or triple beds, studios or apartments. 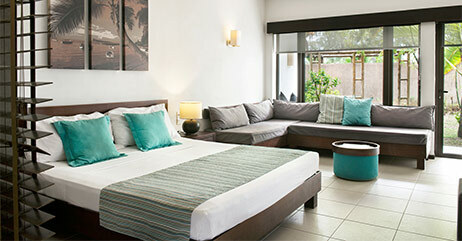 All rooms are open onto a private terrace or balcony with most of them overlooking a big and lush tropical garden. You may wish to choose a room with a kitchen as an additional option. 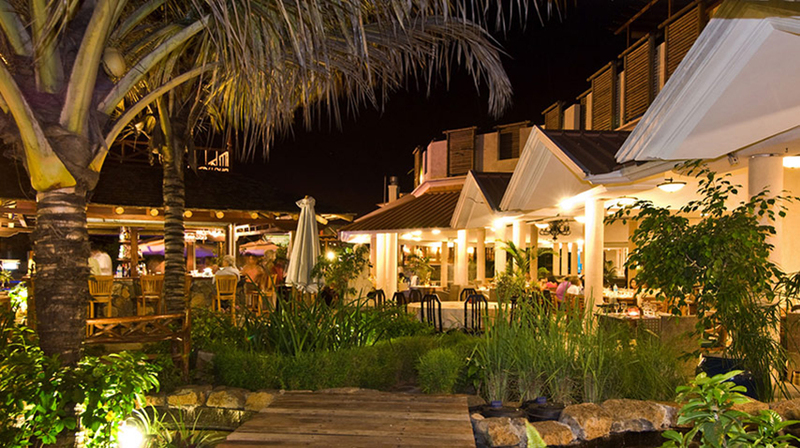 The Restaurant “Les Camelias” served exquisite Creole/Mauritian and International dishes for the pleasure of it guests. You can sip a tropical cocktail at the Casa Bar overlooking the pool or enjoy your evening with an aperitif before dinner. Discover Mystik Lifestyle Hotel, a place that will captivate your soul and mind. It unusual name invites the visitors to know more and discover the concept of this hotel that wants to be the ambassador of what makes the identity of the authentic Mauritius: a multicultural exotic mixture between religious, sense of sharing, conviviality and emotions. Here, everything is designed carefully so that the guest enjoys a popular holiday resort that draws its energy from the gathering and the Mauritian culture. 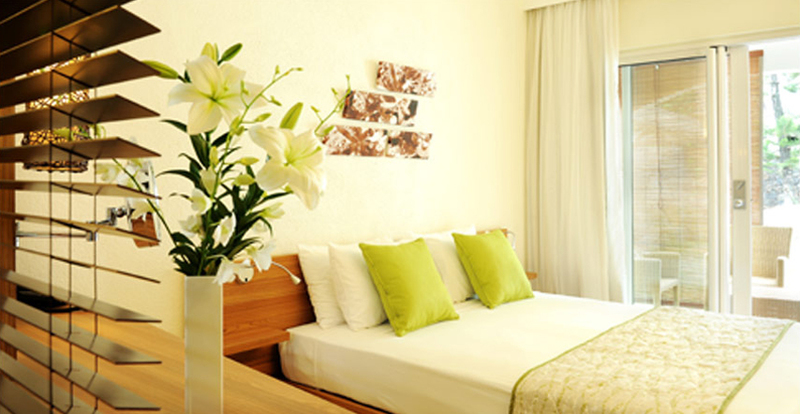 Mystik Lifestyle Hotel is fitted with 35 rooms - cool, bright, comfortable, with a decor blending tradition and modernity. An aesthetic purely Mystik influenced by the colors of Hindu temples in the surroundings: primary colors required. As for the furniture, the hotel wanted to pay tribute to local crafts: everything is made in the country. Open your eyes, Mauritians have never been so close to you during your holidays in Mauritius. The Coral Azur Beach Resort is nestled in the midst of a tropical garden surrounded by exoctic plants & trees which co-exists with the chirping of birds. It is ideally situated on the North Coast of Mauritius, between its two famous beaches, the Mont Choisy beach, which is 2 mins walk away and the Trou Aux Biches. It is well situated with shops, taxi stand, car rentals, super-market, money changer and various water-sports and diving centers are found in the vicinity. The hotel consists of Egyptian-mosaic tiled swimming-pool; you can enjoy the nature and breeze of fresh natural air in our tropical garden at the pool side while sipping the exotic cocktails specially blended for you, fresh from our bar or just sun-bath on the lounge-chairs. Set amongst coconut palms and tropical plants, Tarisa Resort & Spa is a 3 Star Hotel which epitomizes local charm and style. Holding a Tripadvisor Award, this hotel complex possesses the key ingredients for an exotic and authentic Mauritian holidays at a competitive price. 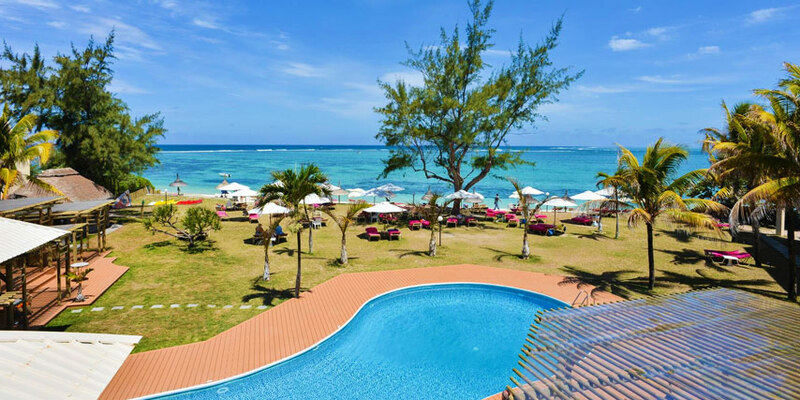 The resort is ideally positioned in Mont Choisy, along the northern littoral of Mauritius, facing one of the most popular sandy beaches of the island. Come and relax on the legendary sandy beach of Mont Choisy. Its white thin sandy beach of approximately 3 km long will bring you into a realm of infinite dreams and make you feel far away from home. Set in a lush exotic garden, with a moorish architecture, the Casuarina Hotel offers all the necessary comfort in a delightful setting to make one’s stay most enjoyable. 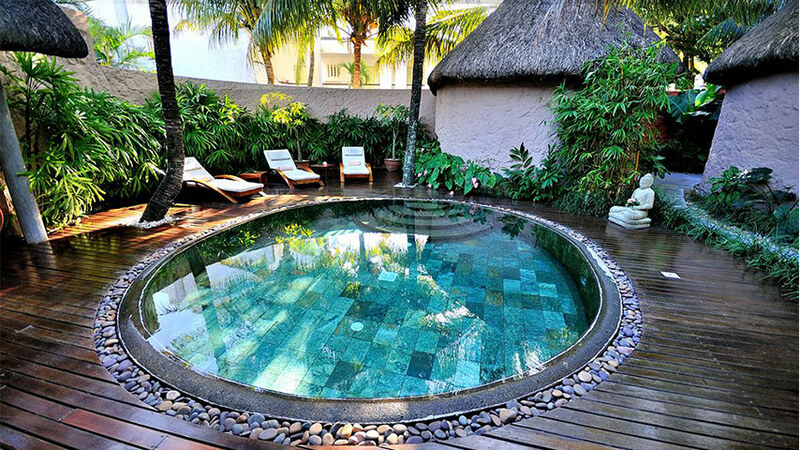 The hotel is situated in Trou aux Biches, on the North West coast of Mauritius. 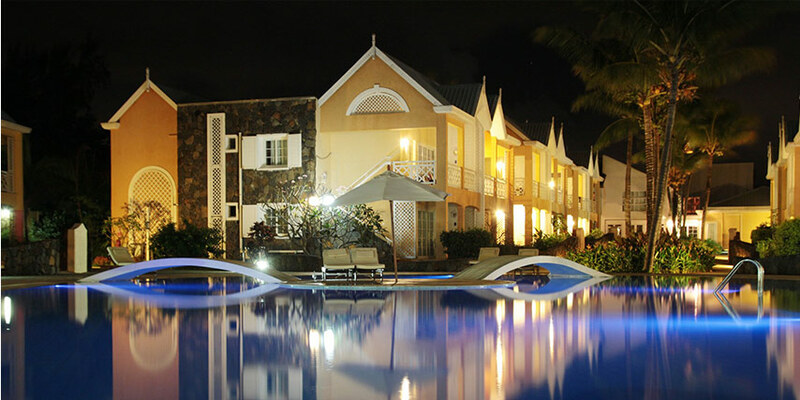 Enjoy an amazing holiday in this 4 Star hotel which accomodate 95 superior en-suite rooms. After some renovations, the beautiful beach of Casuarina is once again accessible to its clients. The wider beach front, with coconut palm and filao trees on the edge, simply embellishes your dream of beautiful Mauritius! At Casuarina Resorts & Spa, all is put forward to provide a cozy and charming atmosphere to its clients at a very affordable price.